FREEHOLD, NJ – Freeholder Director Thomas A. Arnone has announced “The Coloring Book Tour of Monmouth County,” which offers an illustrated look at County government and highlights some of the great things offered throughout Monmouth County. “The Monmouth County Coloring Book Tour has been in the works for months and I am so excited to finally present it to students throughout the County,” said Freeholder Director Arnone, liaison to the Monmouth County Department of Public Information and Tourism. “Our hope as Freeholders is that children will learn something new about the County and all that it has to offer." 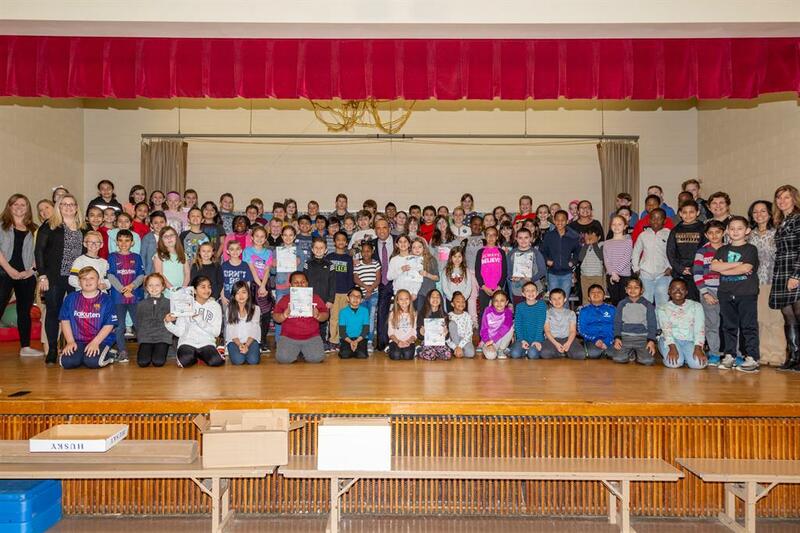 Freeholder Director Arnone presented the coloring book at three elementary schools, Swimming River Elementary School in Tinton Falls, Barack Obama Elementary School in Asbury Park and Wayside Elementary School in Ocean Township, where he explained how the book was created, what it features and then more than 400 copies of the coloring book were distributed to students. The Coloring Book Tour begins with a page dedicated to Monmouth County Government, the Board of Chosen Freeholders and the four Constitutional Officers. As students begin to color, they will meet a family taking a road trip through Monmouth County. The family begins by exploring the different regions in towns in the North, West, East and South Regions of the County, such as Red Bank, Freehold, Asbury Park and Manasquan. The family spends time at the libraries, parks and beaches where they participate in activities like fishing and golfing. In their travels, the family sees the vast farmland, historical houses and bridges scattered throughout the County. “We hope students are inspired by this coloring to explore the County themselves and ask their parents and teachers questions about their home county,” said Freeholder Director Arnone. The coloring book was hand illustrated by Graphic Artist Anthony DeSeno of the Monmouth County Department of Public Information and Tourism. 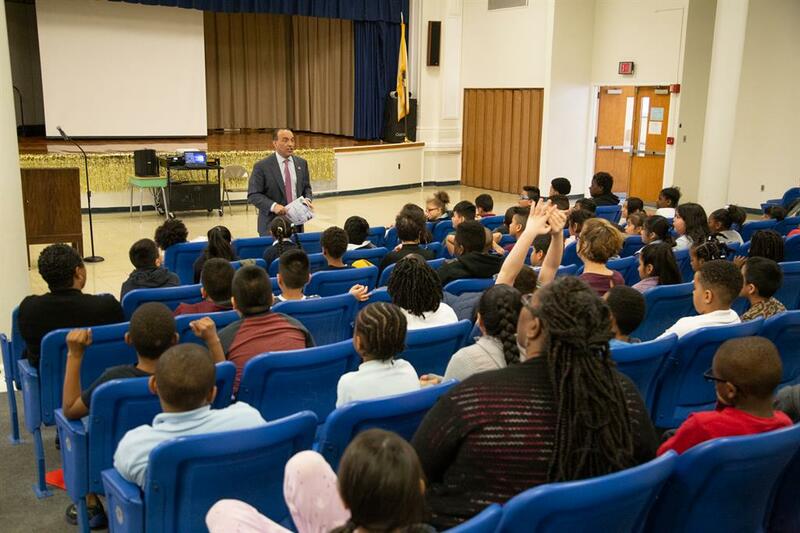 Photo caption: Freeholder Director Thomas A. Arnone presents “The Coloring Book Tour of Monmouth County” to third grade students at Barack Obama Elementary School in Asbury Park. 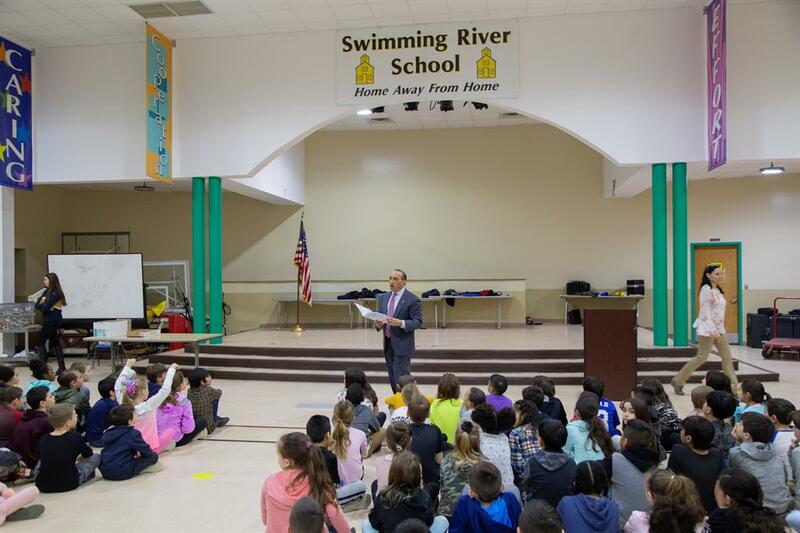 Photo caption: Freeholder Director Thomas A. Arnone presents “The Coloring Book Tour of Monmouth County” to third grade students at Swimming River School in Tinton Falls. Photo caption: Freeholder Director Thomas A. Arnone presents “The Coloring Book Tour of Monmouth County” to third grade students at Wayside Elementary School in Oakhurst.